gives the inverse of the regularized incomplete gamma function. 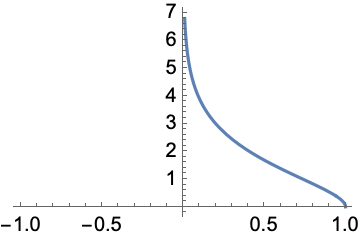 With the regularized incomplete gamma function defined by , InverseGammaRegularized[a,s] is the solution for in . InverseGammaRegularized[a,z0,s] gives the inverse of GammaRegularized[a,z0,z]. Note that the arguments of InverseGammaRegularized are arranged differently than in InverseBetaRegularized. For certain special arguments, InverseGammaRegularized automatically evaluates to exact values. InverseGammaRegularized can be evaluated to arbitrary numerical precision. InverseGammaRegularized automatically threads over lists.